What: The Google BigQuery connection allows customers to synchronize data between Google BigQuery and BlueConic. The connection supports batch import and export. Data coming from BigQuery can be mapped to profile properties. 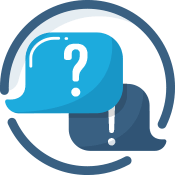 Why: By retrieving data from BigQuery, you can enrich your customer data in BlueConic. This data can then be used to synchronize to other systems, for example for retargeting, recommendations or on-site or email personalizations. Use the instructions below to exchange profile data via batch import or export with Google BigQuery. To export a large amount of data in real time to Google Cloud, or to stream BlueConic events, use the Google Cloud Pub/Sub connection and follow the use case instructions for exporting your data to Google BigQuery using a firehose connection. A pop-up window appears. Check the Show all box. Enter “BigQuery” in the Search bar. The Google BigQuery Connection page opens. You can expand or collapse metadata fields (favorite, labels, and description) by clicking the gray + or –. You have the option to use an existing service account, or to create a new service account specifically for BlueConic access via Create service account. Make sure to assign a BigQuery Data Viewer or Admin role to the service account you use. For existing accounts you can assign roles via a 'Permissions'. To authenticate the BlueConic connection with Google BigQuery, you will need to generate a service account key in Google BigQuery. Open the Google Cloud Platform Console. Select the BigQuery project you want to connect to in the top header. Click the Products & services hamburger menu in the upper left corner. Click ⋮ behind the account you want to use for BlueConic. Click Create to download the private key file to your computer. In the BlueConic connection, click select from your computer and select the private key file. Click Save on the top right corner to save your authentication information. Click Add goal and select Import goal to to import data from Google BigQuery, you need to compose a query (or select an existing one) that will gather the data for BlueConic to import. Click Compose to compose your query. Click Save Query and provide a name. Select the Google BigQuery Dataset that holds the query. Select the name of the query Table to import data from. Link identifiers between Google BigQuery and BlueConic to link data rows from the query to BlueConic profiles. 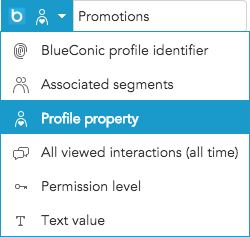 Select a data field and a BlueConic profile property from the drop-down lists to link together (for example, the BlueConic profile identifier). Optional: Allow the connection to create new BlueConic profiles if no match is found. Map the Google BigQuery data you want to import into BlueConic. Select a data field from the drop-down list and select the BlueConic profile property it populates by entering a search term. Click Add goal and select Export goal to export data to Google BigQuery. Follow the steps to configure the export goal. Select the BlueConic segment of profiles that you would like to export. Select the Google BigQuery Dataset and Table name where you want to store exported data. Choose whether you want to replace the table on every run, or if you want to add a partition to the table every run. Select the BlueConic data that you want to export by mapping profile properties to the fields of the Google BigQuery table. Select Add mapping or Add multiple mappings to add one or more mappings. Optional: In the left panel, select Add goal and then Export goal to create another Export goal.